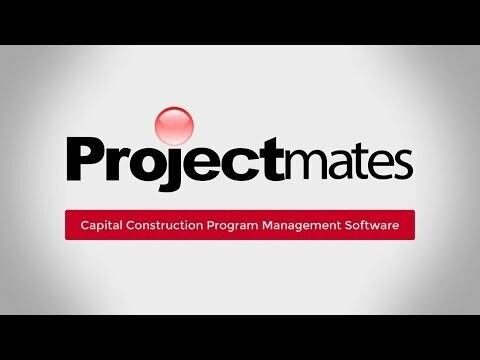 Richardson, TX — August 16, 2017 — Projectmates is enthusiastic about unveiling the newly updated, robust native mobile construction app focused on managing capital construction projects for owners. The features are focused on the users such as project managers or executives on the road, as well as someone working onsite. The app can be used on all mobile devices capable of internet connectivity and display. With more than 20 years of expertise, our award-winning software is trusted by owners because we have proven success in streamlining construction programs, keeping projects on track and under budget while working through mobile or desktop devices. Projectmates users can utilize the app for construction document and photo management, schedule management, field reports, RFIs, punch lists, cost tracking and more. The new annotations and markup tool allows users to annotate and markup projectmates-mobile-app-iphonedrawings and documents within a project. This is done by letting you circle, highlight, provide comments and even attach images directly from your camera to a PDF. Push notifications eliminate the need to check emails constantly and the new app makes it easy to see new announcements as well as interact with them. What Projectmates offers is one app to do what had historically taken over five different apps. Projectmates is paving the way with its mobile functionalities," said Systemates President and CTO Varsha Bhave. "The powerful computing device that we call the smartphone is ubiquitous with both our personal and professional lives. It is a no-brainer for our users to have a mobile platform that facilitates faster, easier and cheaper construction management. The future of mobile project management is already here, and I can confidently say that Systemates is leading the charge." Projectmates also has discussion forums that can be module specific such as quick conversations about RFIs and project documents or a global discussion with everyone involved on the project. Discussion forums are one of the simplest, most effective ways of enabling team members to communicate without the hassle of long-running email correspondence. Mobile users can now contribute to project discussions from the convenience of their smartphones and tablets. The talk-to-text capabilities of your mobile device make communication easier than ever. With increasing technological innovations construction teams endeavor to keep up with the growth of their companies and increasing demands, project managers and executives often find themselves away from their desks for extended periods of time. It is critical for teams to still stay coordinated projectmates-showcaseand address tasks in real-time regardless of physical location. The Projectmates Construction App accomplishes this by combining the robust features and tools of construction management software with the versatility of a tablet or smartphone. These features minimize data entry, save time and money and help eliminate human error, all while maintaining constant communication. What once took us two hours to update information on 10 projects, we can do in less than two hours for more than 55 projects. We are doing nearly four times the volume while scaling staffing less than half that," says Barbara Young, manager of construction at Love's. Projectmates construction program management software assists your team in the administration of a series of projects from the development of an idea through pre-design activities, activities, design coordination, online bidding and contractor selection, oversee construction, track costs and manage budget and management of closeout, move-in, and post construction. Projectmates does it all for us! When all bids are received, Projectmates presents them in a standardized format that is easy to compare apples to apples. Projectmates also analyzes the bids for me so I can make decisions much faster. Things are so much easier since we started using Projectmates," says Jeff Fliger, regional construction apple-watch-push-notificationsmanager at Casey's General Store. Additionally, Projectmates has a cost and change management module that goes far beyond simple budget tracking. With the ability to easily track all funds including budgets, encumbrances, expenditures, invoices and change orders at the program and project levels, you can quickly and easily see a snapshot of your project or program's fiscal health. Our construction is now more competitive because of efficiencies gained through Projectmates. Approvals for capital expenditure requests, change orders and invoices that used to take several weeks are now completed in just a few days," says Steve Ausdenmoore, director of construction at Petco. The Projectmates desktop provides you with unprecedented control over your project and program data. The Reporting Module is "best in class," providing more than 150 pre-built reports as well as an ad-hoc reporting engine, which enables you to create your custom reports using simple drag and drop technology. Projectmates' Ad-Hoc Reporting allows you to group your data into categories like fiscal year, project name and project manager. Projectmates desktop also provides comprehensive construction project management dashboards across all modules to provide quick snapshots of your project/program financial health using colorful graphics, which make it easy to identify relevant information at a glance. If you need to drill into the information further, a live link is there to take you directly to the selected data to quickly take action. We set out to find a system to help us better manage our projects, increase collaboration between our outside vendors and remote employees, and accurately document the events within our projects — all while reducing the time it previously took to do these tasks. What we have found in Projectmates is the perfect system for us that achieves all of those goals and much more," says Frank DePalma, director of construction at Bealls Outlet. Projectmates will function in any modern web browser, such as Chrome, Firefox, Safari, IE 10 and IE 11. Projectmates works seamlessly on a desktop, tablet and smartphone with a modern responsive design. The 100 percent web-based and mobile-friendly platform enables clients to efficiently manage the entire building process from start to finish on behalf of owners. Living in the Stone Age working with Excel and email just didn't cut it anymore. When you go from archaic to modern everyone is happy. Having consolidated project information is a huge help to everyone," says Tim Baze, vice president of POMA Retail Development, Inc.
To learn more about the Projectmates mobile app, click here to watch the overview video. To schedule a personalized demo and see how Projectmates can help you manage your construction projects, click here. Founded in 1995 by leading architects and software engineers, Systemates developed Projectmates to equip owners and owners' representatives with a secure, sophisticated project management construction solution. Projectmates' collaborative platform dramatically improves project execution by cutting costs and delays, increasing accountability, and reducing risk. With its cutting edge technology, Projectmates creates a seamless platform for managing the complete lifecycle of a building, from conception through completion. Over 100,000 projects from retail, education, healthcare, government, and development industries rely on Projectmates to manage billions of dollars in capital construction programs. Systemates is privately held and headquartered in Richardson, TX. It is a no-brainer for our users to have a mobile platform that facilitates faster, easier and cheaper construction management. The future of mobile project management is already here, and I can confidently say that Systemates is leading the charge."